Peggy Decker worked as a pediatrician in Red Wing for 22 years. After an early retirement from the Mayo Clinic in 2016, she learned about SMIF’s AmeriCorps LEAP (Learning Early Achieves Potential) Initiative. Nothing says “Minnesota” like a good dessert bar, but once we get closer to the holiday season it seems that there is never a shortage of cookies. Grandma's Gourmets from Albert Lea has grown rapidly over the years. Owner Kim Olson cites her experience as a vendor at the 2015 FEAST! Marketplace as a pivotal moment for her business. The FEAST! Local Foods Network is moving the needle on the local foods system in southern Minnesota. Young children’s brains are typically not prepared to learn once they enter school. S.M.A.R.T., which stands for Stimulating Maturity through Accelerated Readiness Training, is a series of movements that help children's brains prepare for learning. Learn how our partner, A Chance to Grow, is moving the needle on school readiness by integrating S.M.A.R.T. into classrooms across southern Minnesota. The craft brewery business is booming, especially in Greater Minnesota. Southern Minnesota Initiative Foundation (SMIF) has had the opportunity to support this growing industry in our part of the state; Imminent Brewing, F-Town Brewing Co., Little Thistle Brewing Co. and Half Pint Brewing Co. are all loan clients. Sue Kolling is giving back to the place she calls home. She has volunteered in her community and at work, raised her two entrepreneurial sons, and now enjoys time with her grandchildren who are close to her in Spring Valley. Whether you are interested in pursuing a career in early childhood or not, our program will give you the tools you need to grow, while impacting lives. The Alden Area Community Foundation, which is an affiliate fund of Southern Minnesota Initiative Foundation, provides a simple, powerful, highly personal approach to giving. As Minnesota prepares to host the biggest game of the year, we want to take a moment to celebrate one of our own southern Minnesota entrepreneurs who will be featuring their product at the upcoming Super Bowl. Paula Trenda of Curly Girlz Candy in Owatonna will be bringing toffee and caramels to the big game. "This loan is coming at a perfect time to help launch us into a lot of the projects we want to do to make the farm our own." December 2 will be the fourth annual Feast! Local Food Marketplace in Rochester, Minnesota. Ferndale Market, located in Cannon Falls, has been an exhibitor since Feast! began. Learn how they raise their turkeys and be sure to get a sample! Only a year and a half after a devastating fire destroyed half of Madelia's main street, the community is doing better than ever. SMIF's Disaster Recovery Fund raised $230,000 in grants for the affected businesses. Hilary Kelly did two years in SMIF's AmeriCorps LEAP (Learning Early Achieves Potential) program in St. Charles. The LEAP program places up to 20 full-time members in early childhood settings across SMIF’s region to focus on social and emotional skill development so kids are ready to learn when they get to kindergarten. Read how West Oakland Auto in Austin, Minnesota used SMIF loans and technical assistance to grow their small business. They were participants in SMIF's Prosperity Initiative. Harmony Area Community Foundation is one of 27 local community foundations under SMIF’s umbrella. “A community foundation is one marker of a healthy community,” said SMIF President and CEO Tim Penny. “It shows that people are willing to invest in the future. It’s also a great way to leverage SMIF funds.” IHACF is leanding the way when it comes to raising the next generation of leaders. Southern Minnesota Initiative Foundation equity client Aker Technology, based in Winnebago, Minnesota, uses drone technology to provide detailed crop monitoring. Read how they're bringing high-tech jobs to Faribault County. First Children’s Finance provides loans and business-development assistance to high-quality child care businesses serving low- and moderate-income families. In response to a growing shortage of child care slots and more Minnesota communities recognizing the economic development consequences, First Children’s Finance expanded what had been the Greater Than MN Project into the Rural Child Care Innovation Program (RCCIP). Access to food is a problem in the country and in Minnesota. Southern Minnesota Initiative Foundation is working towards a solution by supporting local foods businesses and small farms. Bluff Country Co-op began in 1972 as a small grocery store located in Winona, Minnesota with various local and organic foods. Since then, love for the co-op has not ceased. In 2015, they bought the whole 10,400 square foot warehouse, yet needed some financial assistance to expand into the new space. To complete the expansion, Bluff Country Co-op recently received a loan from Southern Minnesota Initiative Foundation (SMIF) through SMIF's revolving loan fund. J-C Press, printing and marketing company in Owatonna, Minnesota, received a loan through a Business Development Loan Request from Southern Minnesota Initiative Foundation. J-C Press recently acquired the equipment from Clear Lake Press in Waseca, Minnesota. This loan helped them expand their services and add new employees. Collage Saint James, retail store in the heart of downtown Saint James, received a loan from Southern Minnesota Initiative Foundation (SMIF) through the Small Enterprise Loan Program. Collage Saint James used this loan to make a successful transition of ownership and update the store. Deaf Friendly Biz (DFB) is a web-based directory of Minnesota’s deaf-friendly businesses, as well as a platform for such businesses to advertise to the Deaf community. DFB's goal is to teach businesses how they can offer a deaf friendly customer service experience. DFB was formed by CEO Jamie Duncan to create an empowering marketplace for consumers within the deaf, hard of hearing, and signing community through educating businesses in Minnesota about how to offer a deaf-friendly customer service experience. Duncan, a child of deaf parents, has a lifetime of experience with the Deaf community and how to serve its members. She saw the opportunity to bring this expertise to the business sector, where she frequently noticed clients like her parents often didn’t receive as much information as other clients and consequently were less equipped when making decisions. One of SMIF's newest loan clients, Chabelita's Yummy Foods and Fruits, brings more dining options to Le Sueur residents. They started out with candy and fruit salad, but a full menu of Mexican dishes is coming soon! 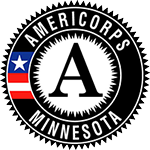 In 2011, SMIF President & CEO suggested that his son Marcus explore a year of service through SMIF's AmeriCorps LEAP program. Marcus was on-board and he shares his experience in a blog post for where he currently works, National Youth Leadership Council. SMIF AmeriCorps LEAP member Sarah Fitch is currently in her second year of service at Three Rivers Community Action Preschool in Northfield. She shares her thoughts on challenges and rewards of preparing our youngest generation for kindergarten. Kristy Baker, owner of Just Kneaded Massage in Mankato, received a loan through SMIF's Small Enterprise Loan Program. "SMIF's loan will give me ability to acquire the tools to expand on my practice." SMIF has several new offerings to help minority and under-represented demographics including people of color, women, veterans, persons with disabilities and/or low-income populations. This year's report, "Tipping the Scales in Early Childhood," focuses on early childhood and features research on the importance of early childhood development, data on the status of Minnesota's youngest citizens, and programs and policies that support success in early childhood and throughout adulthood. Southern Minnesota Initiative Foundation's grant to Grow North MN, a social enterprise offshoot of Minnesota Cup, the state's largest business competition, has helped to create a one-stop-shop resource navigator tool for food entrepreneurs. Jan Joannides is Executive Director of Renewing the Countryside. In this guest blog, she gives an update on the collaborative Grow a Farmer Fund, a new loan fund that will give lower-interest loans to small-scale, sustainable farmers in southern Minnesota. F-Town Brewing Company is a microbrewery located in the historic downtown district of Faribault in Rice County. In 2014, they approached SMIF for a start-up loan. After a strong start, F-Town Brewing is hoping to triple their sales this year and are distributing statewide. Spring Valley Area Community Foundation's Little Huskers Race drew nearly 300 children ages 2–12 in 2016 and is primarily a way for their foundation to raise awareness and give back to the community. Outgoing SMIF Board Chair shares where she's from and what she loves about southern Minnesota. Twelve southern Minnesota food growers and producers are learning from each other to strengthen their businesses. Two months after a fire destroyed Madelia's main street, businesses are finding new homes. SMIF Development Coordinator Alissa Blaha shares her experience from the Blandin Community Leadership Program.